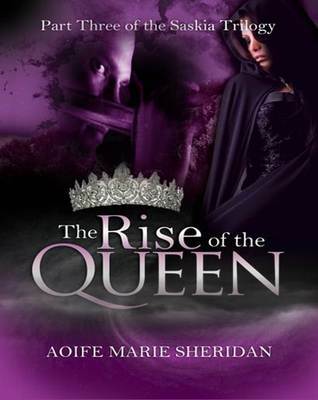 I've been waiting for this book for so long, I really asked Aoife (the author) if this is done or not and one day, I got an email that I'm chosen as one of the beta readers and hoooray! I finally got the courage to face the book, read and be lost in it. This third book is perfect, intense and beautiful. I honestly want more. It has a happy ending which everyone wishes. Of course it is full of adventure and more fight scenes and of course romance. TRISTAN. The only man who I loved from this book, though I love Carew but Tristan is different. He's so overprotective, loving, sweet and handsome kind of man. He's perfect (for me lol). Sarajane being gone made him kind of irritating but not for me it just shows how he loves his girl and how protective he is. Sarajane, I think is still reckless but then it shows how she wants to save everyone from Lucian. Sarajane became more powerful than before. It was awesome to know more about her abilities and how she can manage her powers. I was amazed that she can do more incredible things, and I was amazed on how she handles her people as she gain more friends during her battles. Sarajane is the kind of person who will sacrifice even her own life just to save all the people she loves. The flow of the story is simple yet you'll got hooked from it because all you wanted is to see what will happen to the ending and how will Sarajane defeat Lucian. Every thing happened so fast to be honest so you don't want to miss it. I really hope this is a movie, I'll enjoy watching it for sure. And by the way, this book made me laugh on some parts. Stubborn Sarajane can't stop herself from some things but well, that's her. I've experienced different emotions while reading and I love how the book affects me. The book is really magically catchy. It is sad that this series reached it's ending. I could say that I really waited for everything about this book and the two others and I regret nothing because it is worth my time. I'm waiting for a companion novel entitled "Bellona". I want to know her point of view. Well I’m the author of the Saskia Trilogy and also the Hunters series. Writing, Reading and watching movies is what I love in life. Poetry is another passion of mine and photography. So I keep myself occupied. 2. What do you feel now that Saskia reached it's third book? It’s very much bitter sweet. I’m so sad to leave Saskia but also I can’t believe I finished the trilogy. In saying that, leaving Saskia is really very hard, so I started to write Bellona’s story, she’s the evil queen in Saskia. That way I get to stay there just a little bit longer. But all good things must end. My other book at present is Hunters and it’s not at all like the Saskia Trilogy. It’s dark fantasy and it’s set in modern times. Another book I have out right now is One crazy night. I wrote it with nine other authors. It’s a short story and mine is a chapter from Bellona titled the whipping. It will give readers a taste of what’s to come in Bellona’s story. 4. Choose one: Tristan or Carew? Why? OHH not fair I love them both, but okay for me it would be Tristan because he’s loyal, trustworthy and very manly. I love Carew too but more for his softer side. 5. What if Sarajane is not alive, what will be the ending of the book? Oh Lord, what a question. LOL If Sarajane died, then both worlds would end, Saskia and Earth. It would be a very abrupt ending. 3. Give us your favorite book quote. "Happiness is not a destination, it’s a way of life"
4. Coffee or Tea? why? Coffee, it’s all I have ever drunk. Hate tea it tastes so funny, and I need my coffee to function first thing in the morning, at lunch time, tea time and before I go to bed. Just love coffee. 5. Cake or Ice cream? why? Cake. Was never a fan of Ice cream. I have sensitive teeth.